To a historian of pipelines, last month’s Santa Barbara oil spill is a reminder that the more things change, the more they remain the same. 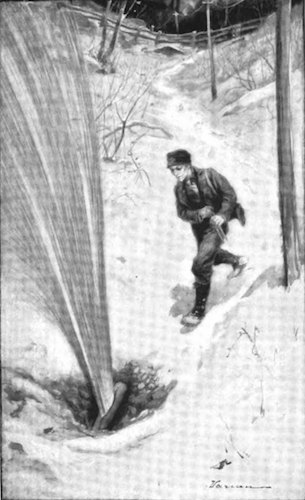 Since their first introduction in the late 19th century, pipelines have leaked regularly and ruptured occasionally. While it’s true that improved technology and regulation have reduced spills significantly—much like flying today is far safer than in the early years of commercial aviation—the fact remains that there exists no such thing as a spill-proof pipeline. Recognizing this historical reality is crucial to crafting future policy. Long-distance pipelines were developed in the late 19th century to compete with railroads for the conveyance of crude oil. The problem in the 1870s was not that railroads lacked sufficient capacity to carry oil or that they spilled unacceptable amounts (though they did, to be sure, leak considerably). Rather, the problem had a name: John D. Rockefeller. He’d built his Standard Oil empire by using bulk shipments to negotiate better rates on his oil deliveries than any of his competitors. By controlling railroad shipments, Rockefeller controlled the industry. Pipeline pioneers hoped that creating an alternative transport system would turn the tide in their favor. As a result, these pioneers cared primarily about two things: cost and competition. As long as small spills did not dramatically reduce profitability, environmental safety wasn’t high on their list of priorities, to put it mildly. Long-distance pipeline dreams first became reality in 1879 in Pennsylvania. Led by Byron Benson and a group of colleagues unaffiliated with Standard Oil, the Tide-Water Pipeline represented a remarkable technological achievement that can be compared to the building of the Brooklyn Bridge a few years later. 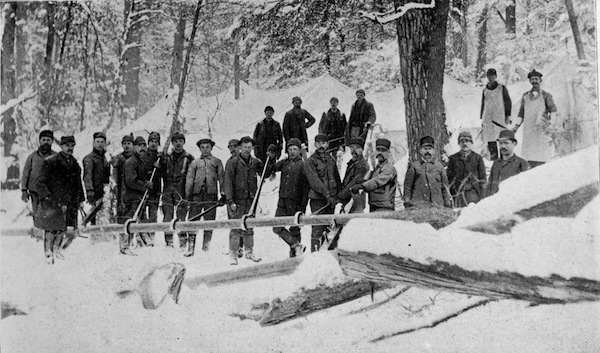 The project was so audacious that skeptical observers dubbed it “Benson’s Folly.” From January to May of 1879, scores of men and horses hauled thousands of tons of pipes through the wilderness of the Allegheny Mountains to complete the 106-mile route. Engineers designed new pumps capable of pushing the oil over an 1,100-foot elevation gain without exceeding the pressure limits of the cast-iron pipes. Most significantly, Benson and his team overcame intense competitive threats such as armed teams ripping up pipes and fraudulent land claims organized by Rockefeller and his railroad allies. Excitement in western Pennsylvania ran high on May 28, 1879, when the pipeline operators started the great pumps and inserted oil into the lines. The oil moved at a slow pace of about a half-a-mile per hour and several people began walking along with the oil. But within two days, the pressure in the pipes rose rapidly and the pumps had to be stopped. A crew opened the pipeline and discovered some pieces of wood and rope stuck inside the line. Company officials suspected sabotage, but could not rule out careless workers. Though company reports do not mention the amount of oil lost, there is no doubt that significant quantities of oil flowed onto the ground when the pipes were opened. Even before the first oil reached the end of the pipeline, therefore, a spill had occurred. With the obstacles removed, the pumps turned back on and the oil began moving again. On the evening of June 4, a large crowd gathered in Williamsport. At around 7:20 p.m., the pipes released a strange whooshing noise and oil soon began to flow into the collecting tanks below. People filled souvenir bottles with the oil and newspapers report that a “spirited celebration” followed. The era of pipelines had begun. Why did early pipelines fail so often? In part, because oil spills were endemic to all aspects of the industry. At the time the Tide-Water Pipeline was under construction, oil producers in western Pennsylvania were spilling an estimated 5,000 to 12,000 barrels of oil every day as gushing wells spewed petroleum before they could be capped and hastily erected storage tanks leaked steadily. To put this into context, the equivalent amount of oil lost in the 1986 Exxon Valdez disaster was spilled every month in western Pennsylvania. At oil refineries, residual traces of petroleum that could not be sold as products were frequently dumped into nearby rivers. For most in the loosely regulated early days of the oil industry, spilling some oil here and there was far more profitable than investing in the expensive technology necessary to control a finicky liquid. Over time, pipelines have become more reliable, featuring better welding of their joints along with extensive monitoring systems. However, the development and implementation of these technologies has rarely happened on its own; in most cases, regulations and public pressure have been necessary to spur change. Without strong penalties, it is cheaper for companies to allow small leaks than to build better pipelines. Yet despite improvement, pipelines remain imperfect. In the United States, a pipeline spill occurs nearly every day, with over 1,400 accidents in America between 2010 and 2013. Historian Sean Kheraj has recently demonstrated that even a pipeline that has operated with a 99.999 percent success rate in Canada has averaged a spill-and-a-half a year and discharged about 5.8 million liters of oil over the past 40 years. A very low failure rate (one likely to be understated as it relies so heavily on self-reporting by leakers), therefore, can still produce heavy environmental damage. How, then, should we think about pipeline spills? One option is to consider reverting to shipping oil by railroad. As it turns out, such an experiment is underway. 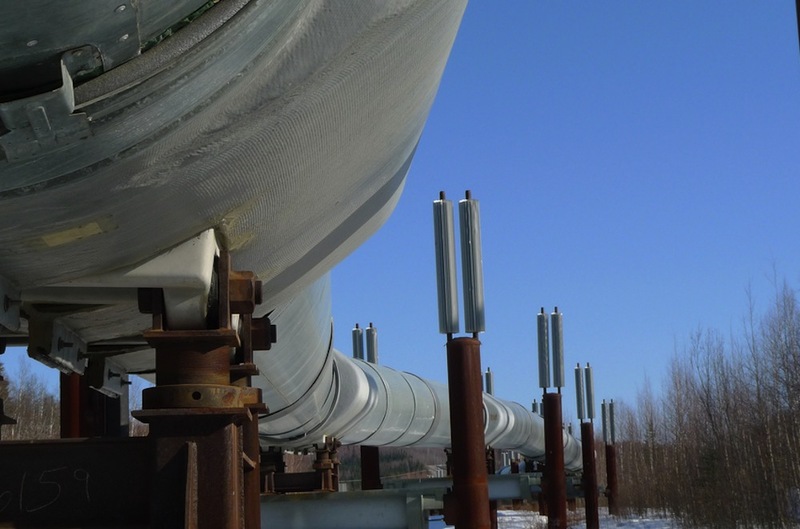 The shale oil boom in places such as North Dakota has recently generated large increases in petroleum production at sites with little pipeline infrastructure. Much of this oil is traveling by railroad, and the environmental consequences have been mixed. Several high-profile derailments and explosions have demonstrated that railroads—particularly those operating on old tracks—create similar risks as pipelines. Accidents are more common on railroads than pipelines, though the average quantity of oil lost is much higher in pipeline incidents than on railroads. Neither system is perfect. Regardless of whether shipped by pipeline or railroad, a clear historical lesson is that greater public scrutiny and regulation of oil transporters reduces the frequency and severity of spills. Citizens are well within their rights to insist that government agencies require pipeline companies to do better. But this is not all. Simply demonizing pipeline operators for their spills is a convenient way for citizens to ignore their complicity in environmental degradation. Oil is transported in such massive quantities because the vast majority of Americans demand to use it regularly. Our everyday actions, including driving cars and surrounding ourselves with plastics, undergird a world in which pipelines appear as a ubiquitous feature of our landscapes. There’s a parallel here to another liquid Southern Californians—and many of us throughout the Southwest—have to import to ensure survival and economic prosperity: water. Most of us are aware that our choices as water consumers—to move to arid lands, water lawns, and support a massive agricultural industry in formerly dry areas.—aggravates the tightness of water supplies and contributes to our recurring droughts. It would be good to think similarly about all that oil coursing into our region’s veins, and become more serious about cutting back on our consumption. Christopher F. Jones is an assistant professor at Arizona State University. He is the author of Routes of Power: Energy and Modern America. *Lead photo courtesy of Joseph. Interior photos courtesy of H. C. Folger, Petroleum: Its Production and Products (1893), Christopher F. Jones, and Ida Tarbell, History of Standard Oil (1904).